How could we not post this ? Is this the most expensive music video ever ??? Of course Randal (IKCD – What If ?) has the answer for us. 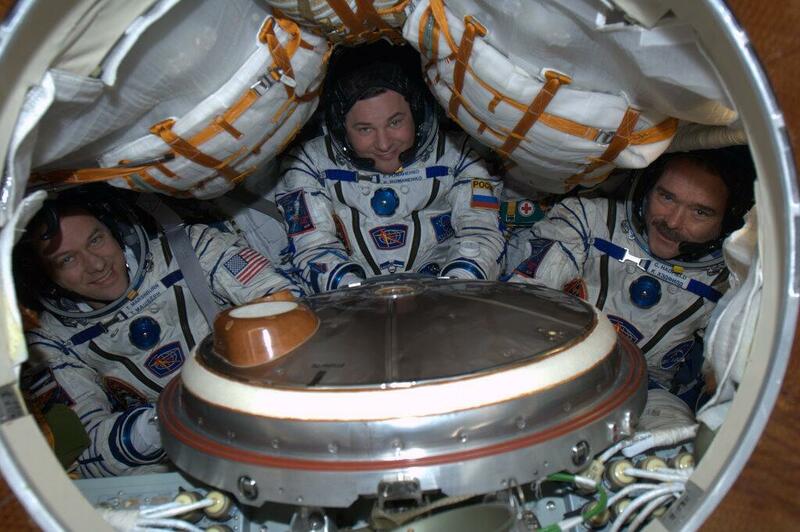 Also – Commander Hadfield’s son tweeted this photo of him packed to head home… The Soyuz which Nigel and I love dearly is certainly not a spacious space craft, but it’s been getting the job done for over 50 years. I do believe those bags strapped between their heads are 6 months worth of wet waste and garbage. Hadfield and his crew have now touched down and are enjoying the perks of Earth like long hot showers and spring air. I love the internet so much. Best use of downtime ever.